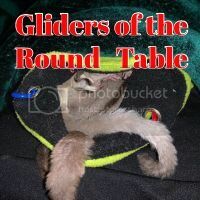 Register Log In GliderCENTRAL Forums Real Stories Rainbow Memorials Lost one of my joeys last night. I lost a Tucker grandson last night. It is harder than losing an geriatric glider. I really feel like I failed him. Tucker you take good care of that little man. Aww Feather I'm so so sorry to hear the sad news. I know Tucker and his descendants mean the world to you. I'm so sorry to hear this. I do not know what the circumstances but I'm sure you did your best by him, as with all your other gliders. You haven't failed any of your gliders. Please don't beat yourself up, you have to know you always give your best.